According to Dr. James McQuivey, principal digital analyst at Forrester Research, watching a one-minute video rivals reading 1.8 million words of text. While we certainly wouldn’t suggest collapsing War and Peace into a 30-second short – or replacing all your website copy with video – we do believe video is one of the most powerful ways to disseminate information on the web and should be an integral part of a firm’s marketing strategy. Online video engages adversaries, the public, clients and potential clients. It enhances search engine optimization efforts and highlights your firm’s unique strengths. More importantly, video gives businesspeople the information they need in the format they prefer. About 65 percent of people say they would rather consume content via video than text, according to a recent Pew Center study, and a recent Forbes study shows that 75 percent of executives say they watch business-related videos at least once a week. Use videos to cultivate a stronger online presence. Without a strong web presence, potential clients may not know you exist – or worse yet, doubt your legitimacy. Video is a great way to populate websites, microsites, blogs, and social media pages to trumpet your expertise. If you’re spending on digital marketing but aren’t taking advantage of video, you may be misappropriating your resources. Web content won’t do you much good unless it can be found. Google, the world’s most popular search engine, places a premium on video and indexes it accordingly. Simply embedding a video on your site or including your homepage URL in a YouTube video description can boost page rank. 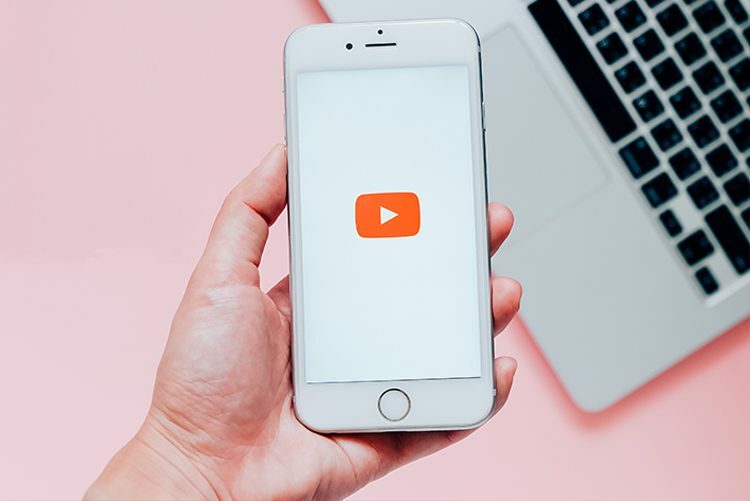 Just as important as boosting rank, however, is creating substantive, findable content branded with your firm’s name – videos that deliver information viewers want and want to share will drive traffic even further. Engage clients on mobile devices. Increasingly, clients access the web from mobile devices, where video performs particularly well. Compared to desktop users, smart phone users spend 20 to 50 percent more time watching videos, and Cisco predicts that by 2016, two thirds of the world’s mobile traffic will be from videos. As users migrate from computers to smart phones and other mobile devices, video will continue to become more important. Attorney Bios. By pairing a face with your firm name, you give your practice personality and differentiate yourself from the millions of attorneys with Internet presence. Explanation of Services. You may have a booming employment law practice, but chances are, most average Joes won’t know what ERISA means. Use a video to explain – in plain English – what your firm does. Firm Promotion. Highlight your victories (including favorable defense verdicts) and explain why your approach gets results. Client Testimonials. Potential clients will believe past clients more readily than they’ll believe you. Ask a client you respect to speak on your behalf. Earned Media Placements. If you’ve been featured on TV as a legal expert, optimize those clips by posting them to your website or YouTube channel and tagging them with keywords. Demonstrative Evidence Examples. Show potential clients what you showed the jury. Animations, models, and diagrams helped you in court—why shouldn’t they help you land your next client? Your videos should be packed with useful information, but that doesn’t mean they have to be long. In fact, 20 percent of viewers won’t watch past the 10-second mark. About a third will abandon the video within 30 seconds, and approximately two thirds will bail out before two minutes have passed. Research also shows that shorter videos (think in seconds rather than minutes) are shared more frequently than longer videos. Keep videos brief and on-point. Though quantity isn’t necessary, quality is. Fuzzy sound, poor lighting, cluttered backgrounds and low-res video scream amateur. A thrown-together video suggests the law firm doesn’t take its work seriously. Sure, you’ve got an HD camera on your iPhone… but that doesn’t make you a videographer. Video appeals to web surfers – and the search engines that guide them – by communicating practical information in an appealing format. No one wants to watch a video that’s all sparkle and no substance, but few audiences will remain tuned into a clip that’s clearly low quality. What online audiences overwhelmingly refuse to do is soldier through a magnum opus, so synthesize your information in a video that’s hard-hitting, touching, quirky, or somewhere in between. If you need help creating effective web videos, contact Androvett Legal Media & Marketing.